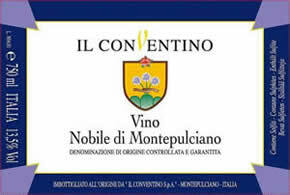 Vinification & Aging: During the harvest the Vino Nobile grapes are hand-picked. Then, fermentation takes place in stainless steel tanks at a temperature of 20°C for 14 days. The wine rests on the skins for 10/12 days before the malolactic fermentation. Later, the wine is racked in barrels of mixed oak woods (French and Slavonian) where it ages for 24-27 months. Then, the wine is bottled and it ages for an additional 4 months prior to release. Description: Strong ruby red colour. Scent of wild red berries to the nose. Velvety, full-bodied and harmonious on the palate. Food Pairing: Red and game meats and dry-seasoned cheeses.